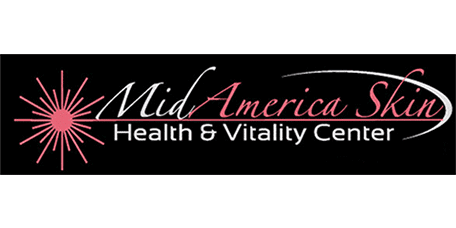 For Chesterfield and St. Louis area patients, Dr. Muccini, offers various anti-aging treatments in his practice, MidAmerica Skin Health & Vitality Center. Patients can receive proven light-based treatments such as intense pulsed light, or IPL, which can help address abnormal skin color, age spots, facial blushing, and broken blood vessels. IPL, or Intense Pulsed Light, treatment is employed to address uneven facial redness, skin tone, broken capillaries, brown spots, and spider veins. The treatment utilizes concentrated pulses of light, which instigate a chemical change in the skin cells and/or blood vessels. The light waves can also be employed to help acne and boost collagen production. This procedure is safe and non-invasive. There is little to no downtime required, and treatments can be scheduled around work and social obligations. IPL is sometimes also called BBL, which stands for Broadband Light. Patients whose skin is affected by small spider vessels, freckles, or wrinkles, or who have blotchy, sun-damaged or discolored skin can benefit from IPL treatment. Those with dark skin tones, or who are very tan, may experience some complications following treatment. Those with fair skin and a high level of skin elasticity are very good candidates. Prior to the procedure, patients will be given protective eyewear, which protects against the bright flashes of light. A cool gel is usually applied to the areas of treatment, which helps to lubricate the handpiece and cool the skin during the procedure. Brief pulses of light are directed at the skin via the handpiece. The procedure can take anywhere from a few minutes to an hour depending on the size of the treatment area. (The number of pulses a patient receives will be determined by the size of the treatment area.) During the procedure, patients will experience a warm sensation caused by the handpiece. Some patients have compared the feeling to that of a light snap from a rubber band. Following the procedure, patients may cool the treatment area, which can help to soothe any discomfort from the treatment. This is usually unnecessary because IPL treatments typically cause minimal pain.